Located in the heart of South Africa's beautiful Breede Valley wine region, less than 90 minutes from Cape Town lies the idyllic Bonamanzi Adventures. This river lodge aims to provide you with an unforgettable wedding experience offering our venue as a blank slate for you to design your own special day. 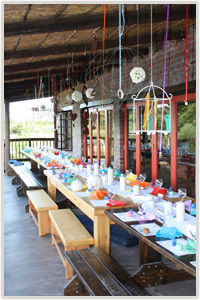 Try a wedding with a difference - accommodate your guests for the night! 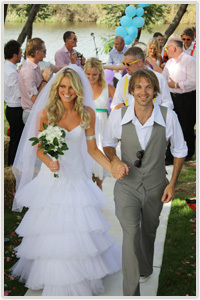 We are able to host weddings of up to 120 guests. 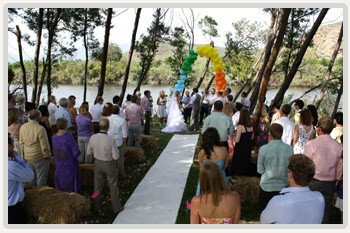 This includes a ceremony on the waters edge, dance floor, bar and much more. Our wedding coordinator is on hand to help you with all the finer details. Please email for our latest wedding information pack.